In terms of addon support Elder Scrolls Online are going with LUA addons. LUA is a wide spread programming language often used by MMO games to allow players to create their own tools and addons. If you have MMO experience you have probably played World of Warcraft. This MMO also uses LUA which allows for the creation of many useful and diverse addons. We expect to see just as many useful add-ons for ESO that will help players throughout the game. 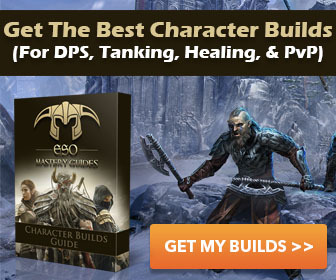 We plan to host the top addons from different developers and provide a one-stop page for all your addon needs. What kind of addons will be supported by the game? Maria Aliprando, one of ESO devs, has confirmed that the UI of the game is fully modable for LUA scripting. That means, if you have enough knowledge you can create different tools such as Damage Meters, Healing Over Time meters, tools for crafters, raiders and other useful programs. Some ESO fans think that it will be possible to add their own items like armor or weapon using LUA but it’s misleading. Any addon for an MMO game is a tool with limited possibilities. It can modify UI or track, collect, analyze or show information. But it does not add new objects or items into the game itself. For example a Crafting add-on may display different advise for crafters or collect statistics about your crafting activity, but, it can’t add new types of ore or a new recipe into the game. You may only create programs that modify UI or collect, analyze and display different data. Where to take addon writing guides? There will be special section dedicated to this on our website. 3. Start the Elder Scrolls Online game client. 4. From the Character Select screen, click the Add­Ons button near the upper left-hand side of the screen. 5. From the Add­On Management screen, check the Add-ons you want to activate. That’s it. All selected tools will be ready to go once the Elder Scrolls Online play session begins. You can manage all your addons and tools from the special Management screen. It’s easy to find it: go to character select screen and find “Add­Ons” button in the upper left side (under “Options” button). The screen allows users to enable, disable and remove installed tools. There is also a special filter that allows the management of addons for all characters or for a specific character. This allows users to create custom tool sets for different classes and play-types. It’s a comfortable solution. For example you can enable Alchemist tool for your Sorcerer only and other characters will not be able to use it. There are different types of addons in Elder Scrolls Online. Some don’t give any advantages in the game, such as UI modifications. But others may aid in game, such as map addons or quest guides. They don’t influence balance but sometimes help in finishing quests and therein leveling faster. It’s your choice whether to use such tools or not. Developers have said that one of their goals was to make an expansive world where you could explore different areas finding interesting places and quests. That’s why the minimap that was in early versions of the game was replaced with a compass. Why they chose to include the compass was due to players paying too much attention to the minimap and being out of touch with the world around them. Similarly this may happen if you pay too much attention to using your addons. Don’t allow them to steal the joy of exploration.